Sky Bounce brand handballs have been one of the most trusted balls used on handball courts around the country since 1979. Comparable to a Racquetball in size and weight; Perfect for handball, stickball, catch, fetch, etc. Package Contains: 12 Original Sky Bounce Brand Balls in a Poly Bag. Specifications: 2 1/4" diameter hollow rubber. Available in 10 colors; Let's Play! Since 1979, Sky Bounce has continued to provide quality-consistent products for the street game enthusiast. Over the years, our product line has expanded from the popular Sky Bounce ball to include more items such as tennis balls and basketballs. More variety, more fun! 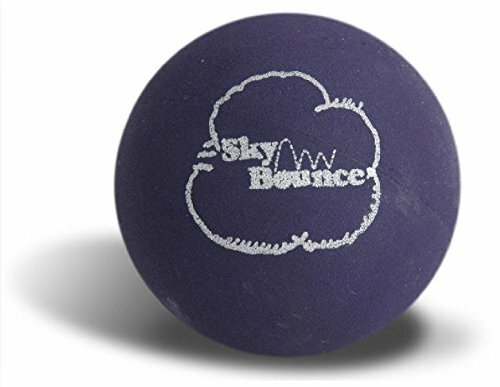 Whether it's Stickball, Handball, Kickball, Fast pitch, catch, fetch, and countless other sidewalk/playground games, Sky Bounce is the ball of choice. The streets are our playground; LET'S PLAY! Comparable to a Racquetball in size and weight; Perfect for handball, stickball, catch, fetch, etc. Available in 10 colors; Just select your preferred color and Let's Play! If you have any questions about this product by Sky Bounce, contact us by completing and submitting the form below. If you are looking for a specif part number, please include it with your message.